Historical Towns | See you in Ukraine! If you feel like medieval spirit is for you our advice would be to try Kamyanets-Podilsky. The air of this small town in Khmelnitsky region is so richly saturated with history that will envelope every bit of you as soon as your feet touch its stony ground. No wonder. A rocky island skirted by the tight loop of the river Smotrich (an estuary of the Dniester) flowing in a gorgeous canyon, served as a natural pedestal on which this miracle in stone was created over a thousand years ago. If you happen to visit Ternopil, which is a very pleasant city in itself, take a short two-hour car trip to the neighboring town of Pochayiv and visit the Pochayiv Lavra Monastery. The Pochayiv Lavra is said to be as impressive as the Kyivo-Pecherska (Kyiv-Pechersk) Lavra Monastery itself. You will recognize the Pochayiv Lavra while approaching the town thanks to its gorgeous golden domes, which resemble giant candles. These domes have fascinated pilgrims from all over Ukraine and neighboring Orthodox countries for centuries. On the right bank of the Dnister, not far from the ancient town of Khotyn in Chernivtsi region, towers the legendary Khotyn Fortress (13-th – 18-th centuries). This stronghold has walls that are about 50 meters high and 6 meters thick. Khotyn used to be part of Kyivan Rus, the Halych-Volyn Principality, the Republic of Genoa, Poland, the Moldovan Principality and the Ottoman and Russian Empires. Its strategic location and the might of the citadel itself caused rivalries among many countries. On the banks of the Siversky Donets River in the Donetsk region, there is a town of Svyatohorsk, earlier known as Svyati Hory (Sacred Hills). According to a folk fable, this is the place where the Slavic epic hero Svyatohir fell in a battle, defending the Russian land from invaders. Before he died, he passed his extraordinary strength over to another hero – Illya Muromets. 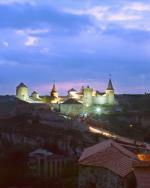 The smallish town of Baturyn in Chernihiv region has played an ancient and notable role in the history of Ukraine. 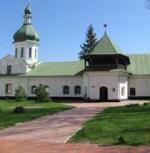 From 1669 to 1708, Baturyn was the residence of three hetmans of Left-Bank Ukraine. In 1708, under Hetman Mazepa, over 20,000 residents lived in the town. Unfortunately, little is known of what the then-capital of the Hetman state looked like. In Ukraine, there are places where you leave a part of your soul once you visit them. Such a place is the small city of Novhorod-Siversky in the north of Chernihiv oblast. Right here, for a moment, you can touch Ukrainian history. 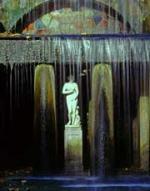 The time of the city’s founding is not exactly known, but it was already in existence at the end of the 11-th century. In the time of Kyivan Rus it was the capital of Novhorod-Siversky principality. Few countries can boast a dendrological masterpiece similar to the one located in the small town of Uman, not far from Kyiv. The famous dendrological park, Sophiyivka, is a monument of the world’s garden and park art of the late 18-th – early 19-th centuries. 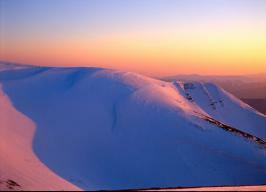 Recently, it was selected as one of the “Seven Wonders of Ukraine”. In the west of the country, in Ivano-Frankivsk region, there is a very lovely and interesting town – Kolomyya. 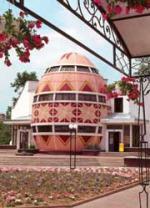 There you are sure to notice a strange-looking structure shaped like an egg and made of colored glass. It is a unique museum for storing and exhibiting the works of pysanka painting. Although it wasn’t built that long ago – in 2000 – it has already become a calling card for the region called Pokuttya, as well as all of Ukraine. A pysanka is a hen, goose or even ostrich egg which is painted using a special technology and colored with natural or aniline dyes. Khortytsia is the largest island on the Dnieper River, located in the center of the city of Zaporizhya. It is famous for its centuries-old history since the island has played an important role in Ukrainian history due to its strategic position. The history of human settlements on Khortytsia goes back to the Paleolithic period. Remains from the Sarmatian and Scythian period have been found there, in particular, groups of kurgan tombs on Khortytsia’s highest peak. Now the island hosts a memorial and tourist complex called Scythian Camp where visitors can see examples of the nomadic tribes’ cultural achievements.